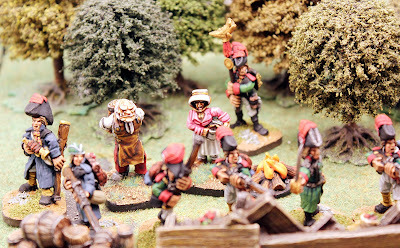 Alternative Armies is known for its large 28mm miniature ranges including Flintloque, High Fantasy, Erin plus Ganesha Games and others as well as our extensive 15mm ranges but did you know (many already do) that we produce many thousands of pro-painted to a high tabletop standard miniatures ready for immediate use from those ranges every year? We do. Our team of talented ladies with many campaigning years of experience right here in Scotland take our miniatures and finish them for use right on your tabletop. For a price that is fantastic which includes everything; the miniature itself, its pro-painting, sealing and its base plus scenic basing effect. 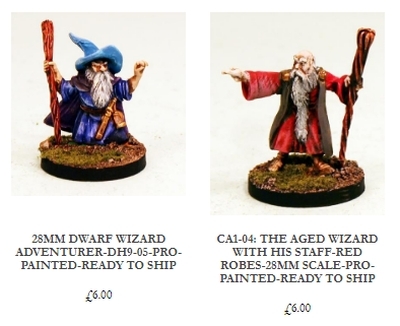 While the majority of these high tabletop standard painted miniatures are destined for regular customers worldwide we do have in stock singles, packs and units on dedicated pages of our website. We have updated our stocks for the end of February 2019 and we invite you to take a look. Excellent value. Our stocks are fluid and sell out but we will always honour orders placed here at shown prices if you miss out. When it is sold it is gone. 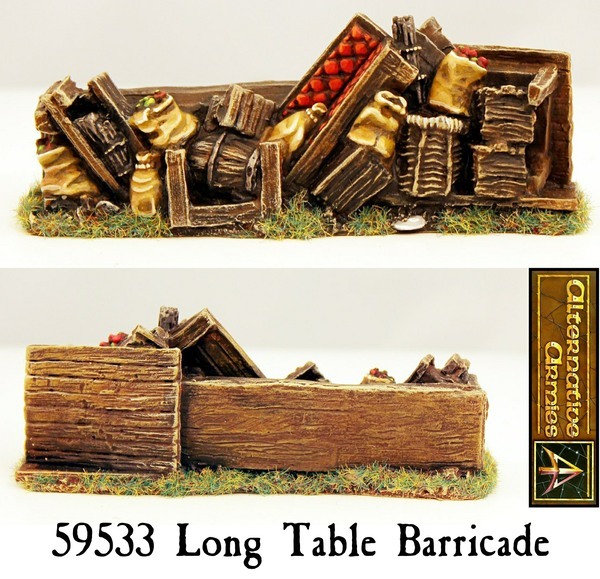 We have several pages each dealing with an aspect of our ranges painted. What you are purchasing which you see on screen is what you will get. 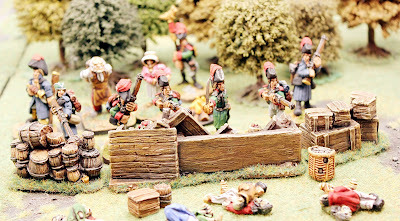 That actual miniature or set of miniatures as shown. Give us a try and I think you will be pleasantly surprised. We will return soon with the Spring Clean! 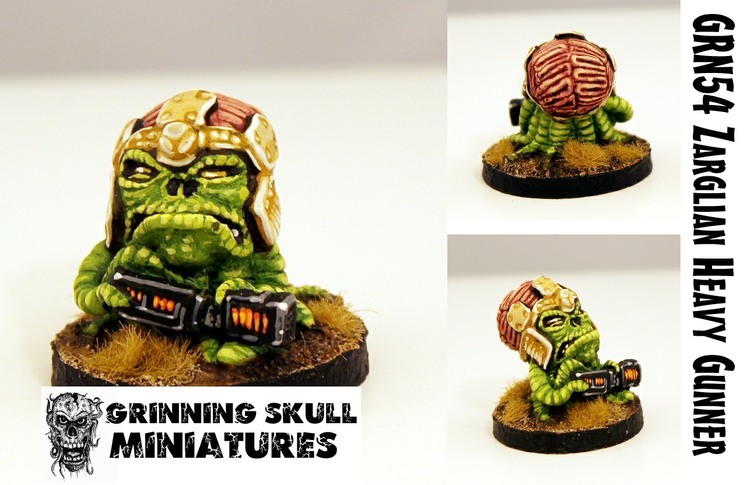 From the mad mind of Will Grundy at Grinning Skull Miniatures comes three new packs of Zarglian Invaders. 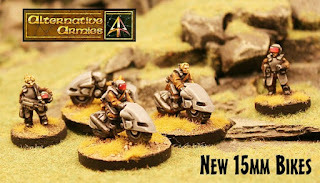 Great for 28mm and 15mm games these alien creatures are all tentacles and exposed brains; armed with ray guns and mighty disintegration guns too. Two large characters, three warriors and five smaller warriors for a total of ten poses plus a super value collected all pack. Near Future, Post Apocalyptic and Space Opera systems. Great fun and there are now near sixty codes in the range including mutant chickens, killer plants, goatmen and the Oggum. Go HERE or read on for more. 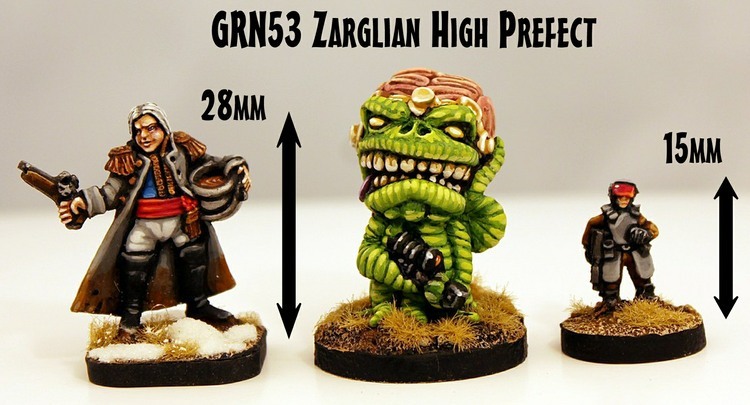 This super value pack contains one of each of the alien Zarglians taken from codes GRN31,32,33 as well as GRN53 and GRN54 plus GRN55, 56,57,58,59 a mix of resin and white metal miniatures. 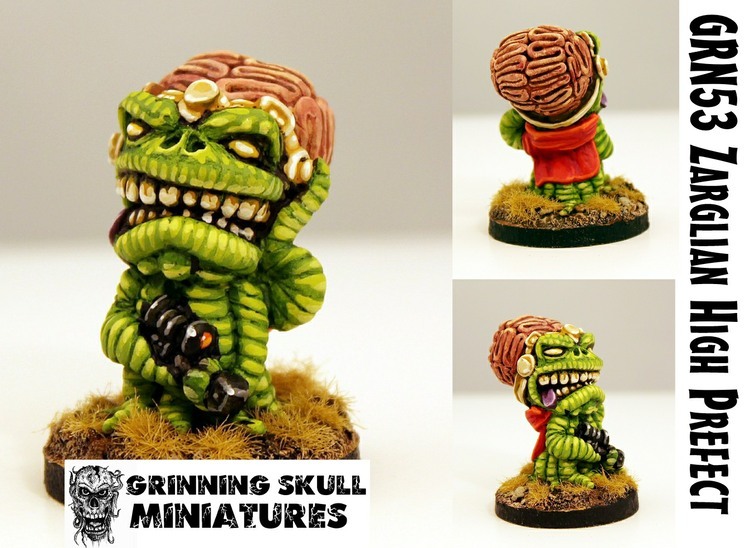 Miniatures from the Grinning Skull Range. 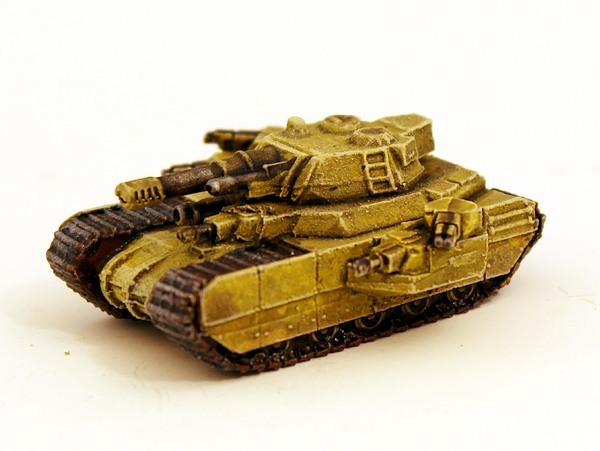 Suitable for use in any science fiction or post apocalyptic wargaming setting in 28mm or 15mm scales. 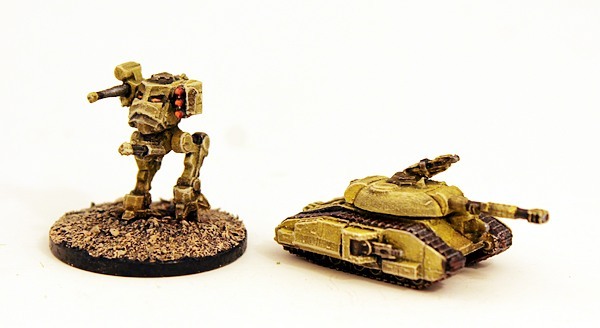 From 10mm to 23mm to 34mm tall. 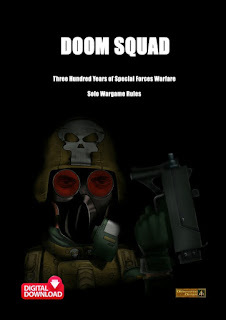 Armed with fusion cannon, heavy ray guns and energy weapons. Save 15% off the regular single miniature prices and get the whole set in one place. Go HERE. 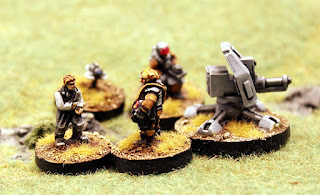 Pack of Five Miniatures. 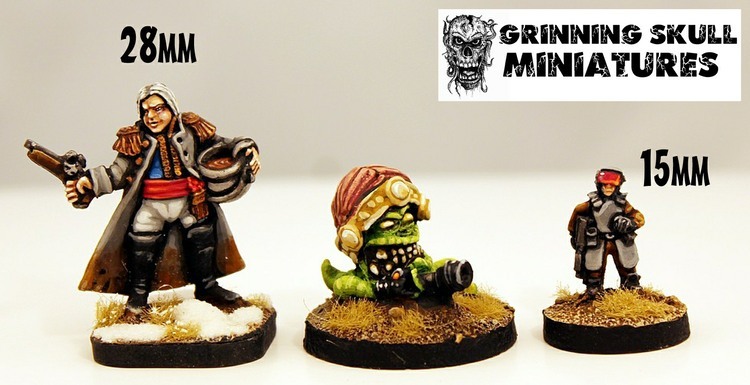 This value pack gathers together codes GRN31 to GRN33 resin miniatures for a total of five miniatures randomly but evenly mixed in terms of poses. A squad with a 10% saving off single miniature prices. 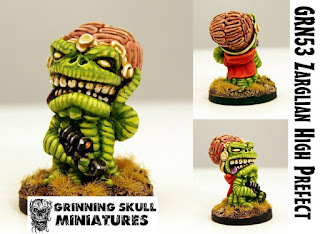 Miniatures from the Grinning Skull Range. 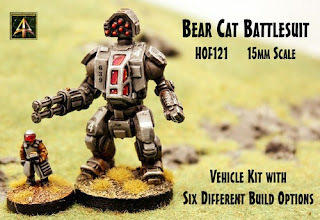 Suitable for use in any science fiction or post apocalyptic wargaming setting. 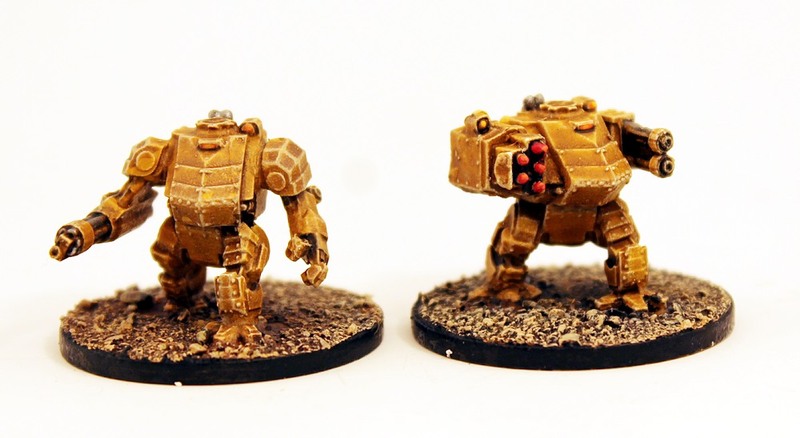 Approx 23mm in height. You can also select single poses from this pack. Go HERE. 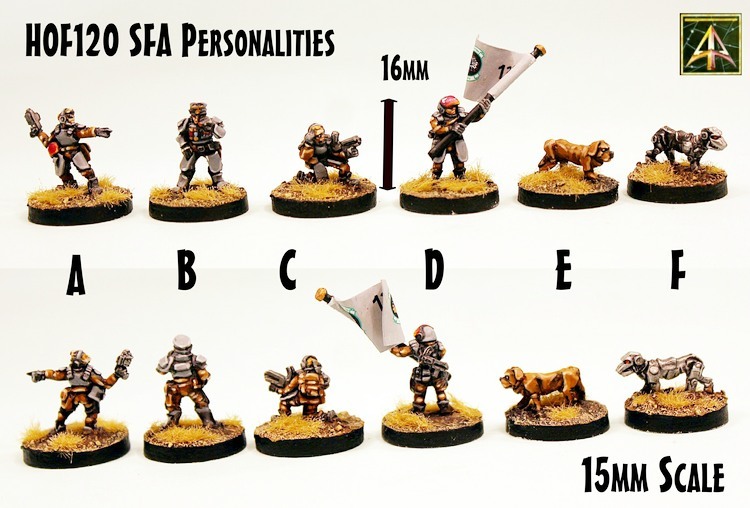 Pack of Five Miniatures. This value pack gathers together codes GRN55 to GRN59 white metal miniatures for a total of five miniatures randomly but evenly mixed in terms of poses. A squad with a 10% saving off single miniature prices. Miniatures from the Grinning Skull Range. Suitable for use in any science fiction or post apocalyptic wargaming setting. Approx 15mm in height. You can also select single poses from this pack. Go HERE. 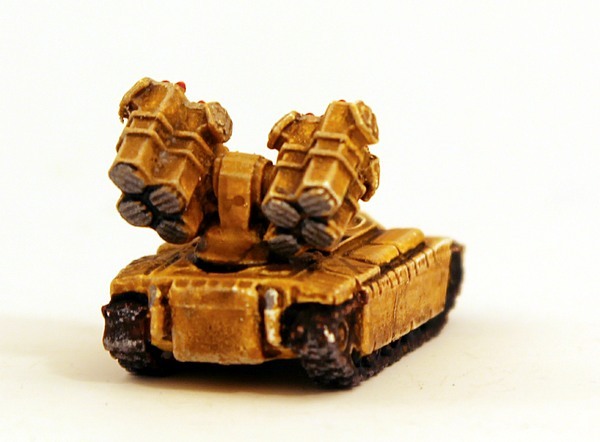 This code contains one resin miniature. The grand overlord of the Zarglain; the High Prefect. Armed with an energy beamer. Use it as your leader! 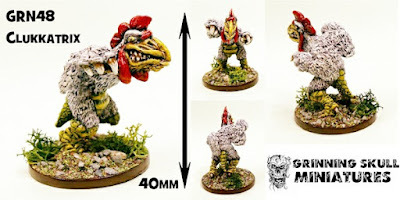 This miniature is one piece and is 34mm tall. Go HERE. 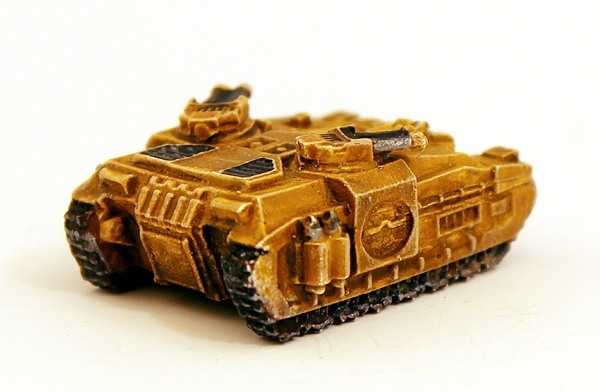 This code contains one resin miniature. 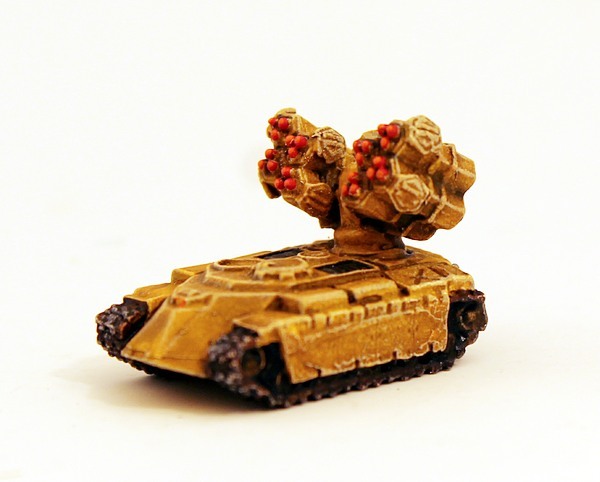 The bringer of the bigger kill power. Armed with a fusion cannon. Support your squads with it. 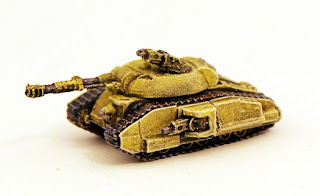 This miniature is one piece and is 23mm tall. Go HERE. Who does not love such strange dangerous creatures eh! Great for any game system which needs the oddity and invaders. Here are some scale shots showning these aliens alongside 15mm scale and 28mm scale miniatures from the HOF range and Flintloque starter box. Here is an extract from the fiction by Will Grundy all about the Zarglians. From the depths of space, the Zarglian invaders come with planetary dominion in mind. 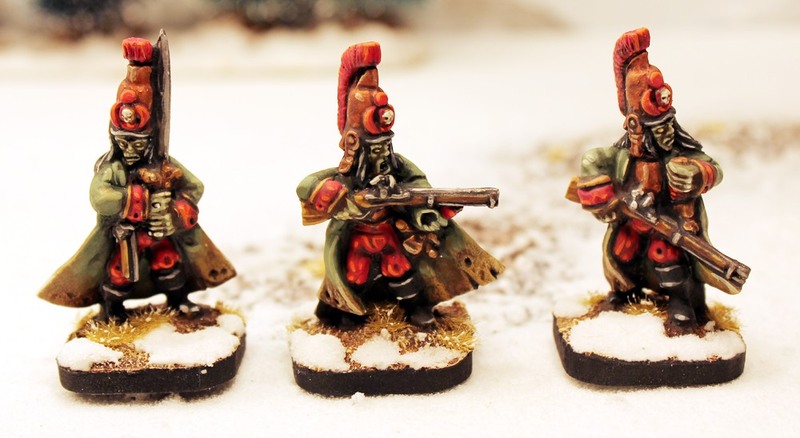 These tentacled marauders have arrived to dominate all other lesser lifeforms with their superior prowess and intellect, till all falls to the zarglian race. The Zarglian Stellar sovereignty spans countless worlds and systems, over centuries they have taken planet after planet and subdued many alien civilisations. Usually backwater worlds that offer little resistance to an invasion. Ruled by a ruthless royal line, much of their dominance can be seen as little more than a statement about how great and terrible they are (as can be seen by their huge heads!) It is the Zarglian way to assume that they are the highest form of life in the known galaxy, so humble is not a word they know how to use, and neither is subtle, favouring large displays of power just to show the enemy just how great they are and everything else is insignificant compared to their great empire. Zarglians are identified by their two main striking features. 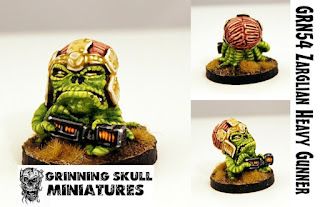 First is their huge heads and massive pulsating fleshy brains. Often they choose to adorn themselves in elaborate head dress, to further extenuate just how big their brains can be. This is due to their custom of those who have the biggest brain, are usually more intelligent. Contrary to the fact, an average Zarglian is no more smarter than any other star faring race, they just imagine themselves to be. Even though the brain appears to be soft and squishy, it is quite tough and is not easily damaged as you'd think, this comes from millennia of evolution and adaptation , which without it, they would have died out a long time ago. The other feature that distinguishes them from other creatures is the sea of writhing tentacles they possess as appendages. This makes them surprisingly fast and agile, able to do many things at once. It is unknown how many tentacles zarglians have exactly, experts would say that the number varies per being. With their like of racial superiority, it could be said that this might figure in a similar manner to the brain size. You'd imagine that due to their appearance they require a large amount of water to survive and that is why they seek new worlds to conquer. This is not the case, long have they evolved the ability to operate in many a locale and their tech aboard the saucer shaped crafts is more than adequate to provide them with all to survive. indeed their technology is advanced, lasers, sonic weapons, disintergrators and rayguns, as well as hyperspace capabilities and teleportation. 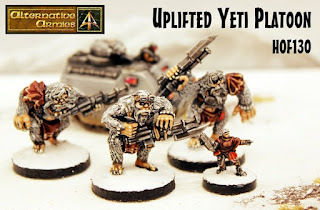 They are ahead in terms of psionic ability, using mind bending telepathic devices to communicate to other races, probably just to taunt their foes and tell them of their impending conquest! So, prepare to serve your new intergalactic masters, and hail the great Zarglian Emperor and prepare for world wide invasion! This is our last release for the month and we will see you in March for a bit or a Spring Clean! A new code added to the HOF 15mm Science Fiction range for February 2019. 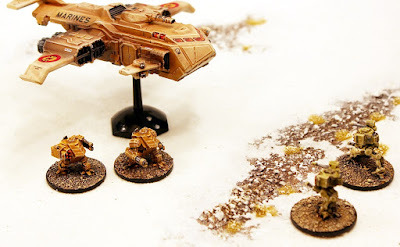 In conflict zones across the Terran surface, the solar system and beyond there are those who wish to see first hand what is happening and to tell all others. These media teams work for big organisations or for governments or even just themselves. Now you can add them to your 15mm scale games. This pack follows up on the Security Force Alpha releases (Uplifted Yeti's, Bear Cat Battlesuit and more) and much like our Medical Team you can slot these journalists right in alongside the SFA. Go HERE or read on for more. 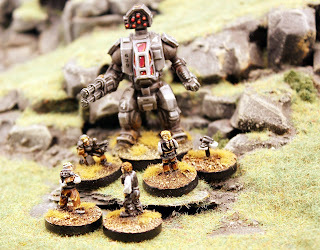 A useful set of new miniatures which you can deploy in science fiction or near future or modern game settings. 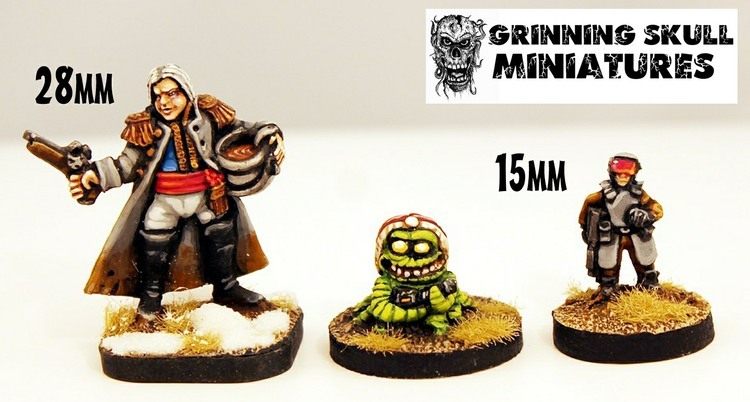 This pack contains ten 15mm white metal miniatures in four different poses. 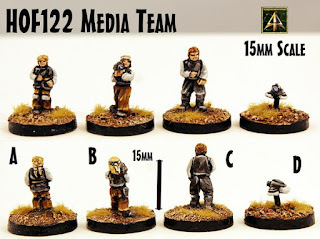 A generic Human Media Team good for any war zone or incident to add characters to your gaming table. They are unarmed and clothed so that they may be painted up in any uniform you choose. The first pose (A) is a female reporter with microphone. The second pose is a long haired camera operator (B) with high grade recorder. The third pose is a male reporter (C) with microphone and the last pose is a floating camera drone (D). 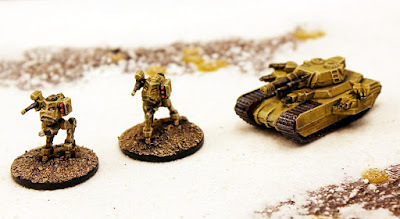 You can select a pack of miniatures or single poses from the pack. There is a mix of poses in a pack favouring camera operator and drone over reporters. 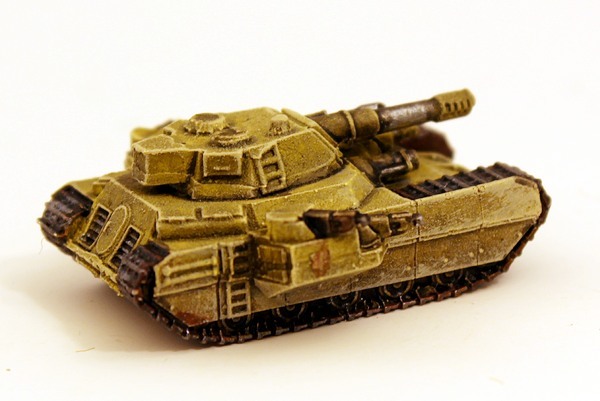 This code is supplied unpainted and without bases (shown on 20mm round bases). Go HERE. 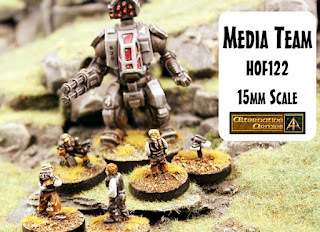 We fielded a media team in a recent game of USEME 15mm Science Fiction in a scenario which featured Security Force Alpha troopers with vehicle support facing off against Corporate Ashigaru hired soldiers attempting to break into a nature enclave of protected trees. Firepower was limited by the media presence which made winning harder as the corporate enemy while smaller was under no such restriction. It was a fun game..and I lost! Bradley Miniatures Range second wave is here! 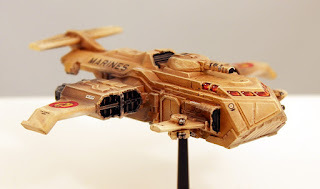 The follow up to the successful Star Legion. The range has been expanded by fleshing out the heavy armoured forces of the Star Legion, as well as introducing the new Colonial Army! All new 6mm scale vehicles ranging from the reliable M-75 personnel carrier to the behemoth Actium Super-heavy Battle Tank! 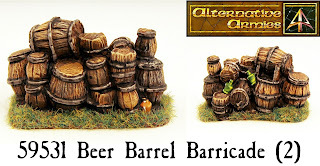 A total of thirteen new packs each containing one or four kits with the option of single purchase from larger packs too. 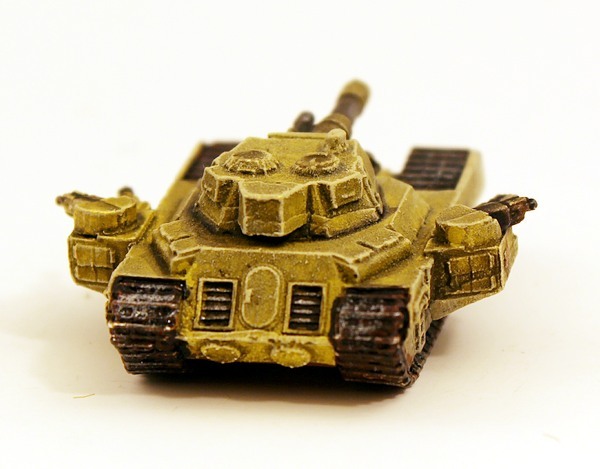 Great for use in any 6mm scale tabletop wargame system. 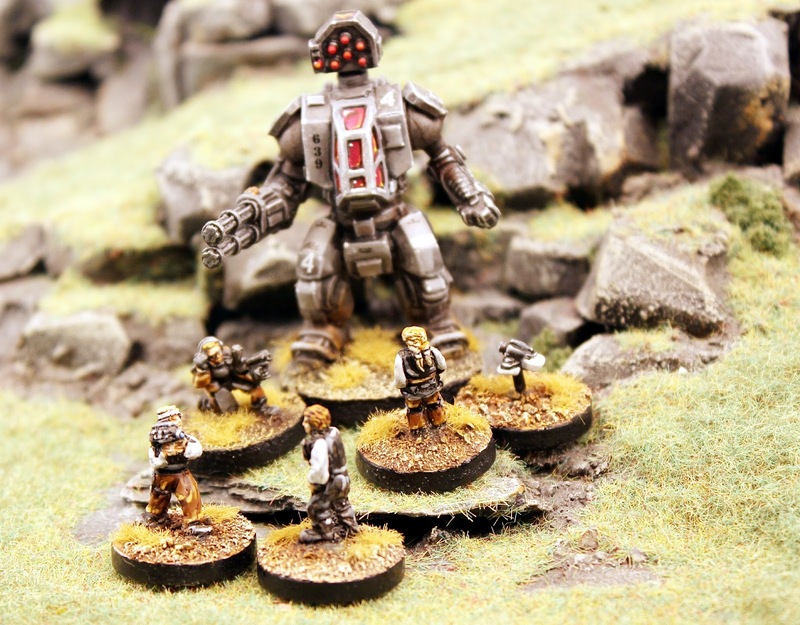 Made in Scotland by Alternative Armies in partnership with Bradley Miniatures. If you missed the main release news see it HERE on our blog. 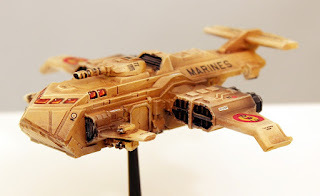 Go HERE or continue in this article (click to enlarge images on the blog) to see our own painted and scenic shots of some of the new vehicle codes including the massive Corvo Dropship. The BR003 Stalker Missile Tank is a medium vehicle in the Star Legion and carries two batteries of long range variable load missiles. 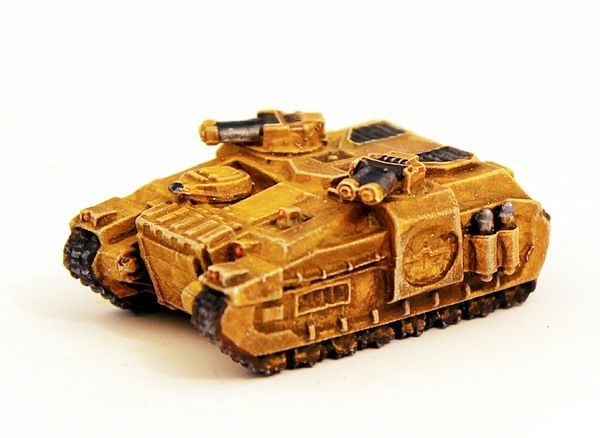 The BR005 Nemian Assault Tank is a midway point in armour for the Star Legion and mixes firepower with infantry carrying capacity. The BR006 Tiger Combat Walker is a main stay of the Star Legion and can be outfitted with missile pods or gatling cannon or anti-material cannons. 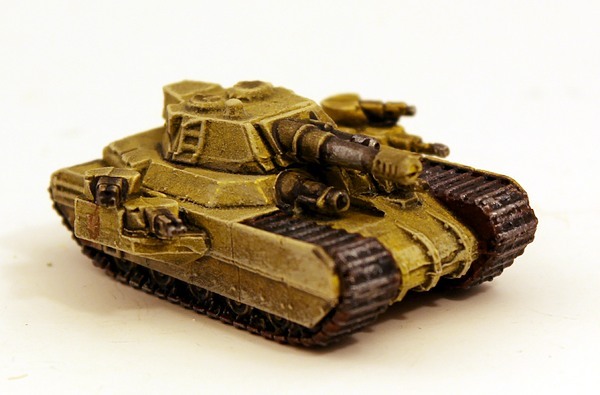 The BR018 T47 Main Battle Tank is a constant part of the Colonial Army and comes in seven different marks suitable for all manner of battlefield roles. The BR025 Ironclad Superheavy Tank is one of the largest armoured vehicles in the Colonial Army and sports an array of cannons in primary and secondary roles; capable of dealing with a dozen main battle tanks with ease. 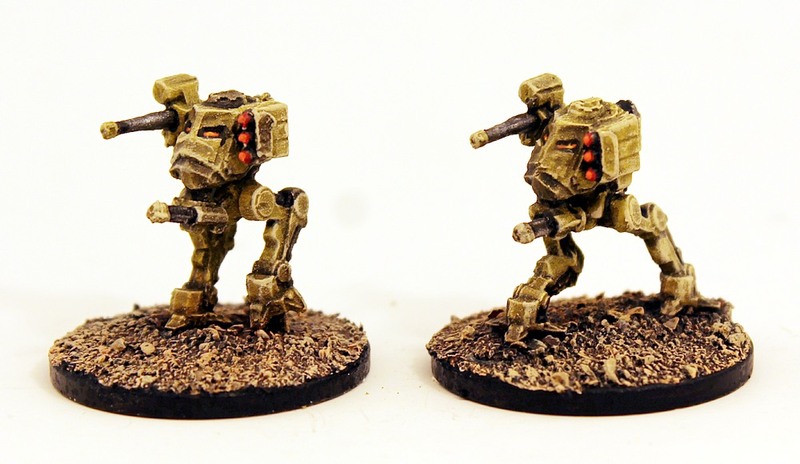 The BR026 Lynx Scout Walker preforms the role of reconnaissance for the Star Legion ground forces and is capable of defending itself in rough ground. 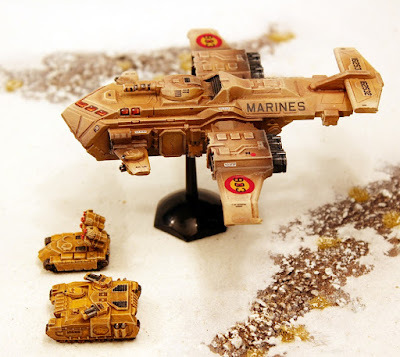 The BR027 Corvo Dropship is the mammoth lifter which brings Star Legion platoons of power armoured troops, light vehicles or a troop of medium vehicles into the battle space from orbit or intra continental. 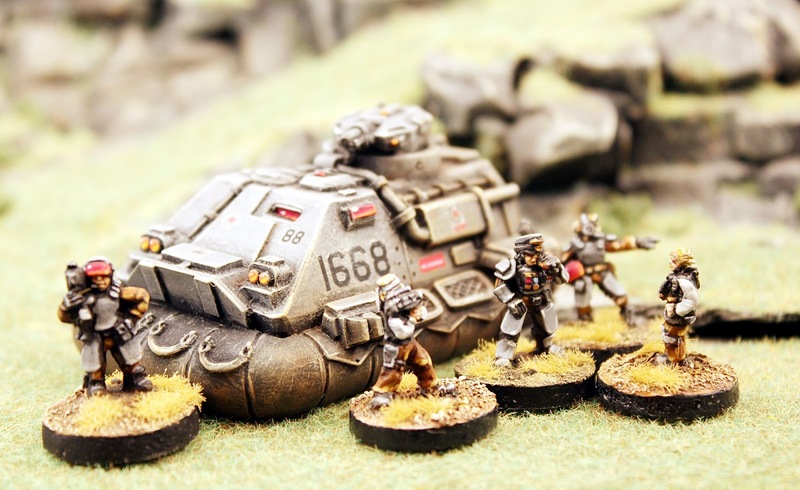 We hope you enjoyed these pictures and check out one of the finest 6mm ranges there is today! 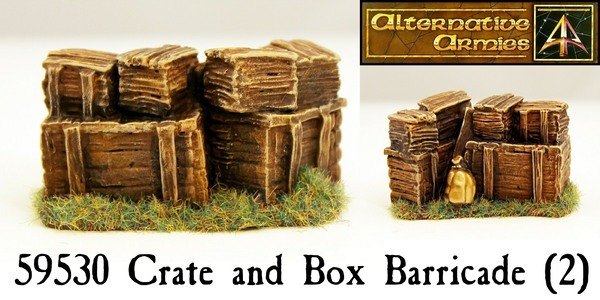 This month Alternative Armies has added three new codes to our excellent range of 28mm Terrain Range. 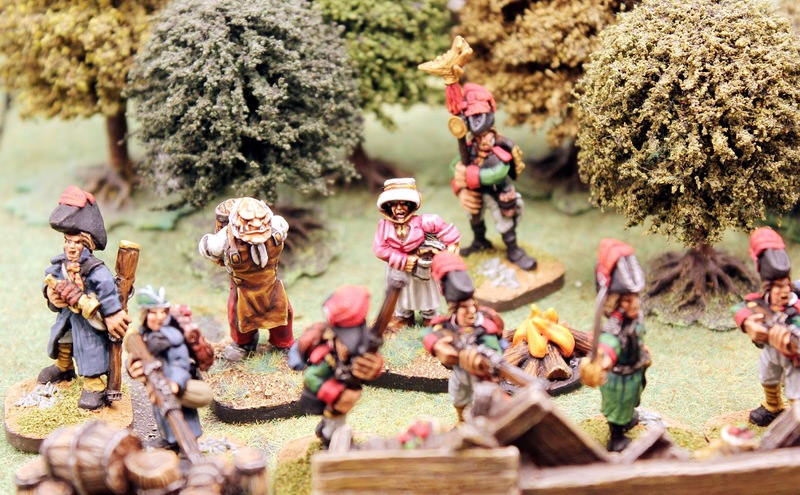 This range, while meant for Flintloque and Slaughterloo is equally at home in any black power, horse and musket or fantasy setting. Each pierce is full of character and there are such things as Abandoned Beer and Goods Wagons, Corpse Piles, Campaign Table, Campfire plus stone wall pieces and now three new barricades. 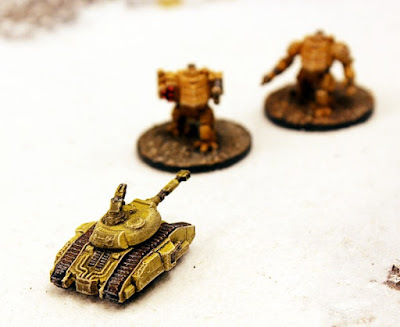 Scatter them on your gaming table today plus you can purchase them unpainted or painted and ready to play out of the box. Go HERE or read on for more. The smaller barricades come two to the pack while the larger one is a single piece to the pack. 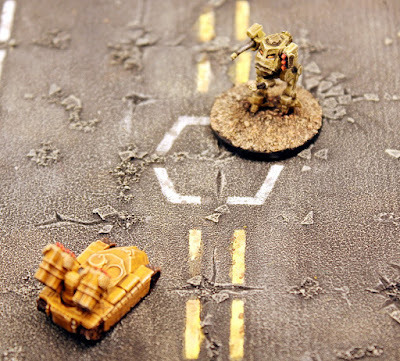 If you already have our 28mm terrain in your collection you will know just how much detail and attention there is in every model. Hauled from homes and warehouses as well as dockside and armoury boxes and crates can be stacked to provide a solid defence against an attacker. 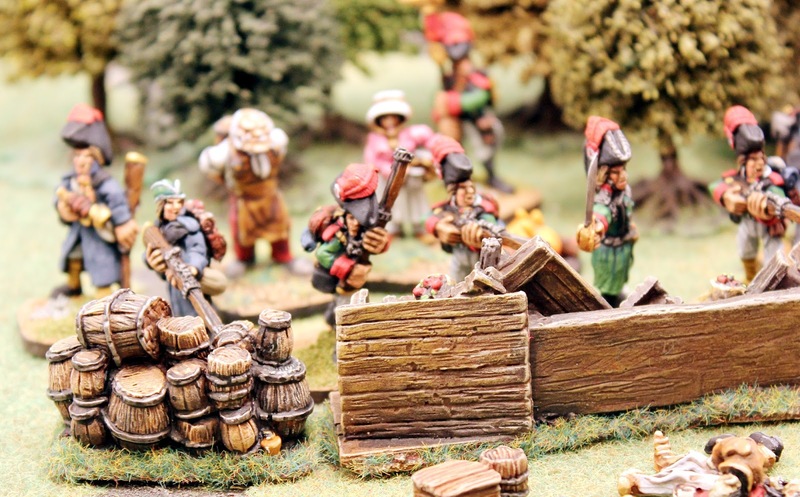 As the foe slams into the wooden barricade your troops can take solace in knowing they will be able to strike back once the enemy is worn out! 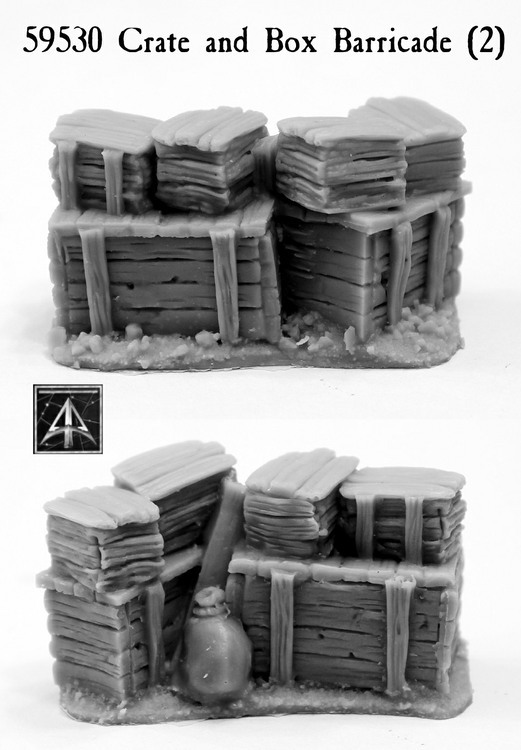 This pack contains two identical high quality grey tone resin terrain pieces. Put them on your table as an objective or cover or just for interest. 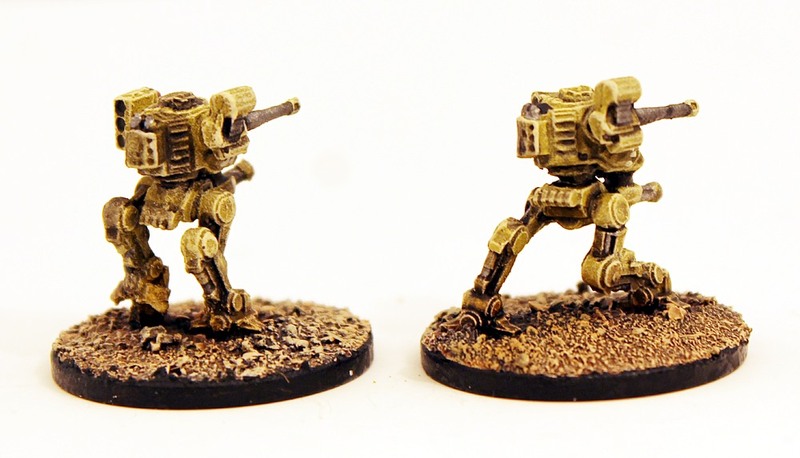 Each measures 45mm in length, 20mm deep and 25mm tall. You can purchase with the buttons on screen one or get three with a saving or get it pro-painted and ready to use. There are many more images from all angles on the page. Go HERE. 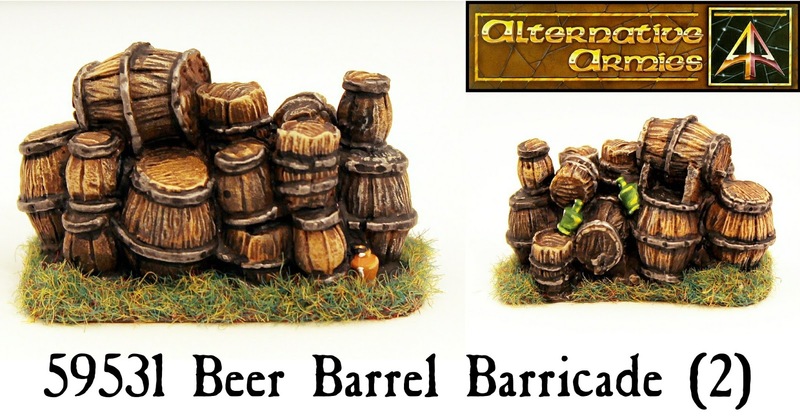 Beer comes in barrels and ale in casks and all manner of fine tipples too. 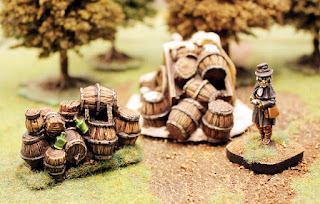 When the village is under threat and the need comes up for defending between the houses then heaped up barrels and casks provide a ready means of fending off the foe. Of course it is always better that the liquids within have been drained for the lost of your soldiers is only cast up higher by the loss of your refreshments! 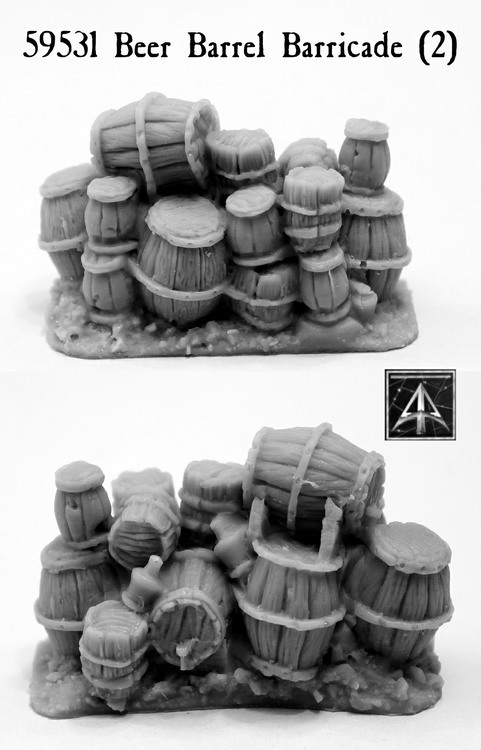 This pack contains two identical high quality grey tone resin terrain pieces. Put them on your table as an objective or cover or just for interest. Each measures 50mm in length, 20mm deep and 25mm tall. You can purchase with the buttons on screen one or get three with a saving or get it pro-painted and ready to use. There are many more images from all angles on the page. Go HERE. Home and hearths must give deep when the time of battle comes. Families will give or it will be taken from them. All manner of furniture and sacks piled with wooden planks and liberated sacks will stretch across a street allowing weapons to be loosed from behind it. 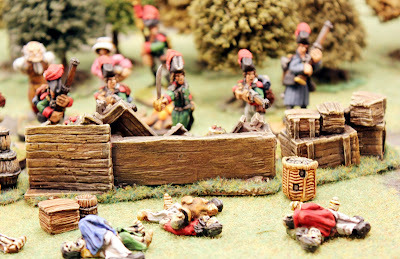 A solid wooden wall from once fine possessions which might be returned if victory is won! 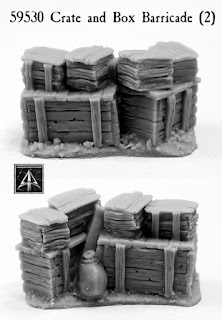 This pack contains one high quality grey tone resin terrain piece. 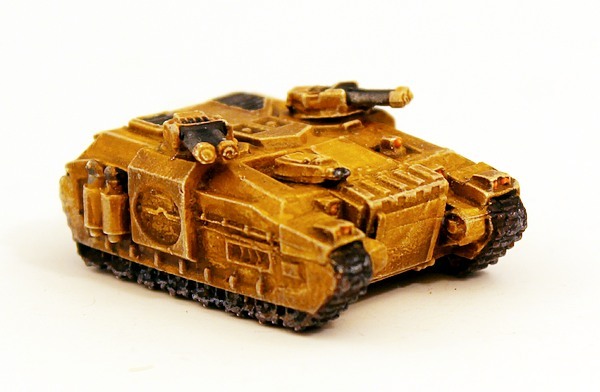 It measures 100mm in length, 20mm deep and 25mm tall. You can purchase with the buttons on screen one or get three with a saving or get it pro-painted and ready to use. There are many more images from all angles on the page. Go HERE. The barricade of crates goes really well with our 59524 Abandoned Goods Wagon while the barricade of barrels suits our 59523 Abandoned Beer Wagon down to the ground. 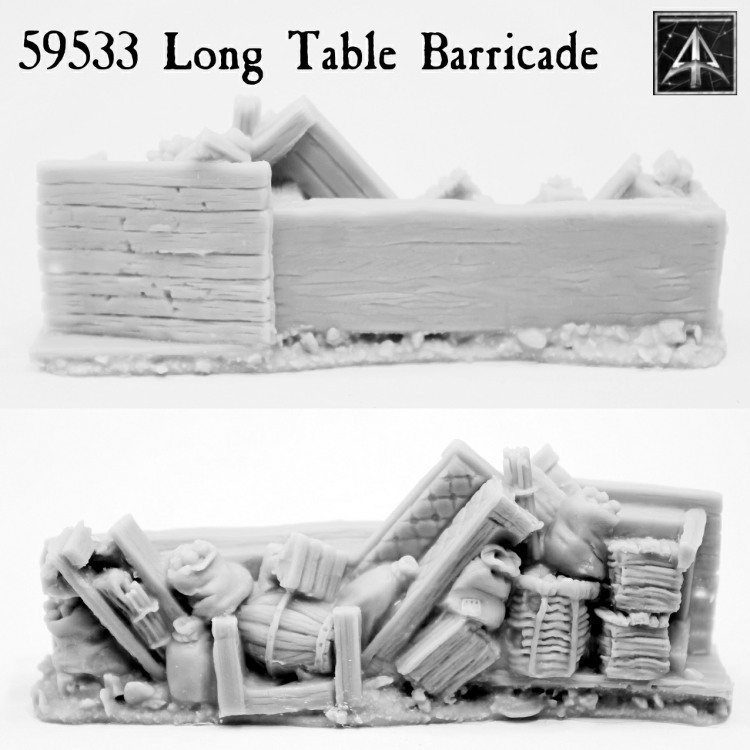 Put our 59525 Campaign Table behind the long table barricade for a fitting scene of command under fire. 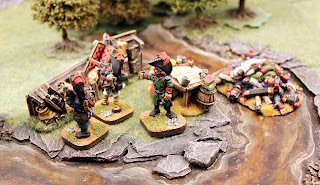 We recently played a game of Flintloque with the new 51535 1o Condottierie Light Infantry and these terrain pieces up against 55508 Zombie Line and supported by the 51048 Elf Vivandiere supplying the Wild Elves alongside the 56116 Tap Room Ogre while 55507D Undead Casualties out in front of the barricades. Check out the linked pages for free downloads too. Enjoy these pictures from the game. 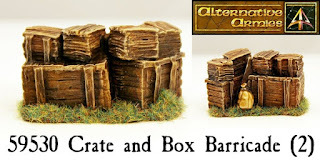 Here are three pictures of the unadorned resin castings of these terrain pieces. As they are supplied if purchased unpainted. 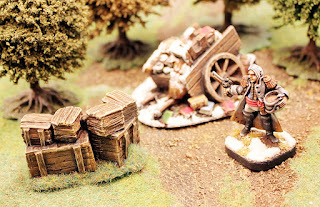 If you would like to get into Flintloque you can with the Escape the Dark Czar beginners box set and free content HERE or check out the larger Shilling Starter Packs which contain more miniatures and a full game book each HERE. We will return next month with more excellent World of Valon releases! Thanks for Reading.